As the inimitable Yogi Berra once said: "It's tough to make predictions, especially about the future." I have been giving talks recently, including one at Harvard's Kennedy School eGovernment Executive Education Program, where I try to predict the future of IT and how firms and organizations will have to adapt radically or face extinction. A large scale industry shift is underway and its significance is likely to be far greater than people realize. "What paradigm shift in the computer industry brought us here?" 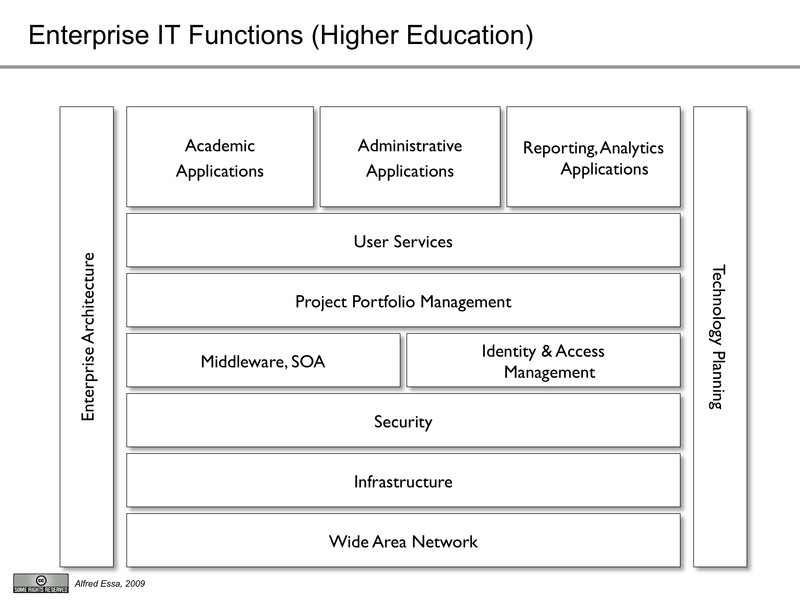 The audience usually provides answers such as: networking, the personal computer, TCP/IP, etc. These were all significant developments but don't get at the seismic shift that led to present state of affairs. Andy Grove in Only the Paranoid Survive not only posed the question but provided the answer. "Going into the eighties, the old computer companies were strong, growing and vital...But by the end of the eighties, many large vertical computer ocmpanies were in the midst of layoffs and restructuring..."
What happened? 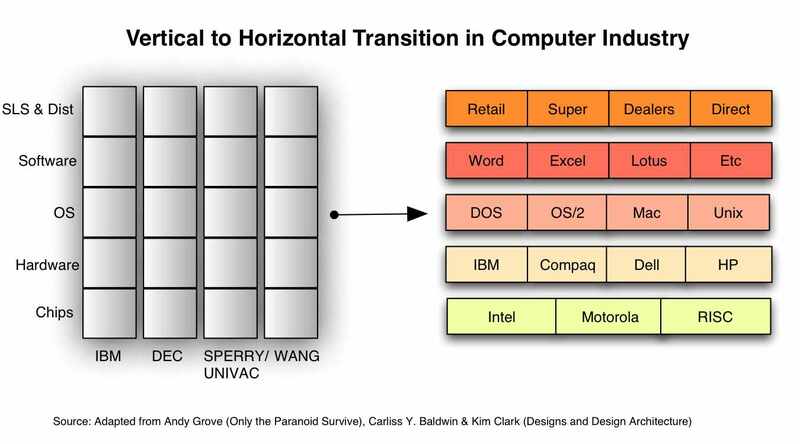 In a famous diagram, Grove described the transformation of the computer industry from a set of vertically integrated silos, dominated by companies such as IBM, DEC, Sperry Univac and Wang, to a horizontal stack which made possible modular recombination of cheap components. That was the fundamental transformation in the computer industry that demolished the old computer companies, a number of them permanently. A similar transformation is underway in the computer industry and it will be equally seismic in its consequences. Stay tuned. "It's not that I don't understand their [the experts'] theories about competitive advantage, core competencies, virtual commerce, supply chain economics, disruptive innovation, and so on, it's just that the way these experts tend to talk about strategy -- as if it is some kind of high-brain scientific methodology -- feels really off to me." "In real life, strategy is actually very straightforward. 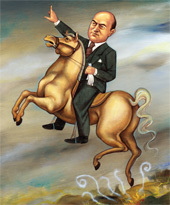 You pick a general direction (Welch calls this the "big aha") and implement like hell." Welch boils down strategy into 3 + 5. The "3" refers to 3 steps where the key is to come up with a "big aha". The "5" refers to five slides that answer a set of questions that cycle back to the "big aha". First, come up with a "big aha" for your business -- a smart, realistic, relatively fast way to gain sustainable competitive advantage. Second, put the right people in the right jobs to drive the "big aha" forward. Third, relentlessly seek out the best practices to achieve your "big aha", whether inside or out, adapt them, and continually improve them. It's time to do a series of postings on strategy as a way to motivate myself to understand it. Michael Porter's (even if he is from Harvard Business School :) ) Competitive Strategy: Techniques for Analyzing Industries and Competitors (originally published in 1980) still stands as the classic work in the field. Unlike most management books, it's free of jargon and clearly written. Porter notes that ultimately there are three approaches (i.e. strategies) for outperforming other competitors in the industry. Overall Cost Leadership. A couple of years ago I visited Dell Computer for an Executive Briefing. One theme came across loud and clear in everyhing they do. They are relentless in cost cutting. What penny pinchers I thought! But Dell has written and re-written the book on seizing overall cost leadership. First, they started with desktops, then laptops, then servers, then printers, and the list goes on and on. 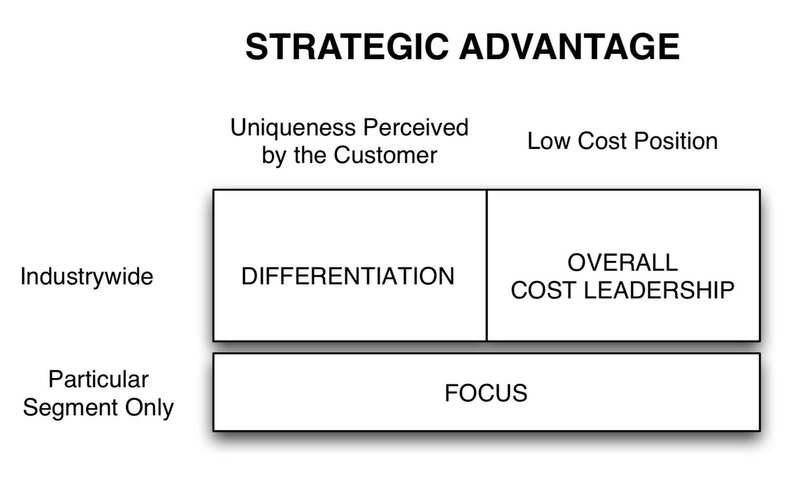 As Porter notes, "a cost leadership strategy can sometimes revolutionize an industry". Dell has and continues to do so in the way it manages its supply chain. Differentiation. Differentiating a product or service means creating a product or service which is perceived industrywide as being unique. How about that iPod? Apple's iPod is not unique as a digital entertainment device. But its style and design are. This results in brand loyalty and lower sensitivity to price. I'm willing to pay extra for my iPod! Now here's Porter's most important point. 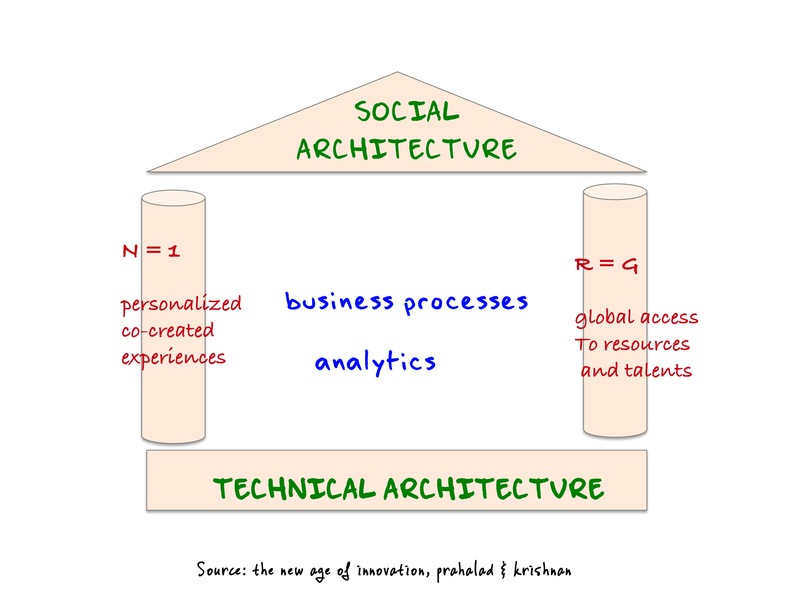 "The three generic strategies are alternatives [emphasis mine], viable approaches to dealing with the competitive forces. The converse of the previous discussion is that the firm failing to develop its strategy in at least one of the three directions -- a firm that is "stuck in the middle" -- is in an extremely poor strategic situation."